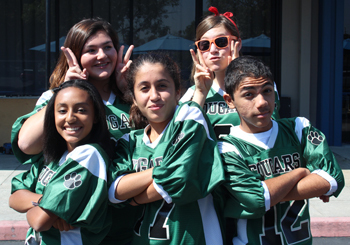 Junior High Spirit Day...Eighth Grade looking tough! The JK and Kindergarten students from every Fairmont campus joined together to sing the National Anthem at the Fairmont Family Football game last week. Even though a few of them were nervous, they all stood bravely on the Yorba Linda High School track and sang their hearts out. They knew the song better than some of the adults in the stands! It was a great way to start a very fun evening. Thanks to our music teachers and to the JK & Kindergarten teachers for preparing the students to be star singers! Don't forget to join us this Saturday at the OC Children's Book Festival. Fairmont will be at booth #110. Bring along your new and used books to donate at our Book Drive. Our Anaheim Hills and North Tustin Campuses will be having Lee Denim Day on campus. Lee National Denim Day® is a fundraiser created by Lee Jeans to support the American Cancer Society®'s breast cancer programs. Since its inception in 1996, Lee National Denim Day participants have raised more than $86 million for the fight against breast cancer. With your help, we hope to add millions more to that total this year. Lee National Denim Day 2012 kicks off Breast Cancer Awareness Month on Monday, October 1st. Join Lee® Jeans and the American Cancer Society in the movement to rise above breast cancer by donating $5 for the privilege of wearing jeans to school! Thank you for all your support. Our Anaheim Hills Tri-Way Football Team plays hard for their first victory of the season! There's nothing greater than an autumn afternoon out cheering at a sports game! Our fall season sports (Tri-Way and DSL Football & Volleyball) are in full swing. Be sure to come out to a game and cheer our athletes on to victory. GO FAIRMONT! Breakfast is a very important meal for growing children. Kids who fuel up in the morning focus and concentrate better in the classroom and perform better on math, reading and standardized tests. They also have fewer behavior problems. Low-sugar cereals, dried fruit; muffins, eggs, mini-quiches, walnuts or almonds; yogurt, fresh or dried fruit, mini-bagels with low-fat cream cheese, English muffins, rice cakes with low fat cream cheese are healthy alternatives to traditional breakfasts. Plan ahead. Save time. Don’t wait until the morning rush to decide what to eat. Shop with a list and set the table the night before with favorite breakfast cereals, ripe fruit and ready-to-go items such as trail mix or fruit roll-ups. Involve kids in food shopping and planning breakfast: Kids are more likely to eat food if they are involved in its meal planning and preparation. If there’s not enough time to help prepare in the morning at least the child will be familiar with what’s on the breakfast menu that day. Begin small. If kids aren’t hungry for a traditional breakfast, try small bites of whatever they are willing to eat. Also liquids are easier on small appetites. A fruit smoothie with protein powder or yogurt can make eating more enjoyable and build better breakfast habits. Dress first, eat second: Kids are more likely to feel hungry once they've had a chance to wake up. Eating habits are learned. Parents serve as role models for healthy eating and have a powerful influence on food intake and preferences in their children, especially when the children are young. Habits begin early, take practice and can last a lifetime. 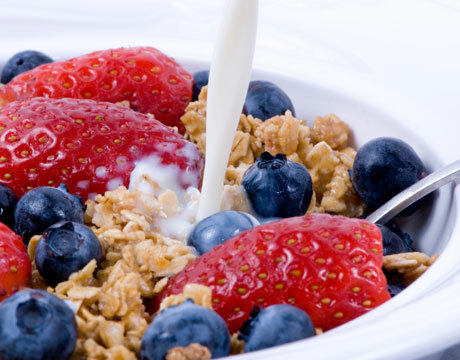 So whether they eat at home or at school, be sure your children eat a nutritious breakfast every day! One of my goals as the Head Boys' Basketball Coach at Fairmont Prep is to build a basketball community throughout Fairmont Schools that offers 360* support of the programs at all levels. I am pleased to start working towards that goal by offering our first "Coach-Dad" Clinic for 1st-8th grade students AND their parent/guardian on Saturday, September 22. We will concentrate on 2-person "Driveway-Drills" that can be taken home and used, not only to improve their basketball skills but to have some quality time between you and your child. To extend this quality time, we are encouraging attendees to caravan to that evening's football game vs Western Christian HS and offering free admission with a hot dog to all those who attended the basketball clinic. Please read the details below, and click here for more information. Campers Receive: Four hours of instruction in the fundamentals instrumental to youth basketball success, including shooting, dribbling, passing, rebounding, and man to man defense. Special: At the conclusion of the clinic all attendees are invited to caravan to the football game between the Fairmont Prep Huskies & Western Christian Lancers. Each attendee received free admission and a free husky dog. 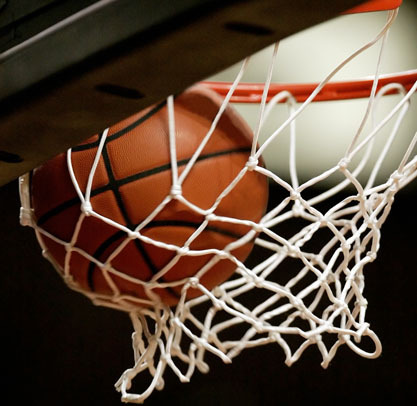 Director: Ray Lokar, Head Basketball Coach at Fairmont Prep Academy, Lead Trainer for the Positive Coaching Alliance, Author of 101 Basketball Tips. Fee: $50 a pair when pre-registered and $60 at the door. Pay online or checks should be made payable to "Sports'n'Stuff"
There is nothing greater than a child discovering the love of reading. We at Fairmont believe that every child should be encouraged to explore new worlds through reading and should have access to all types of books--from fantasies to science fiction to biographies. 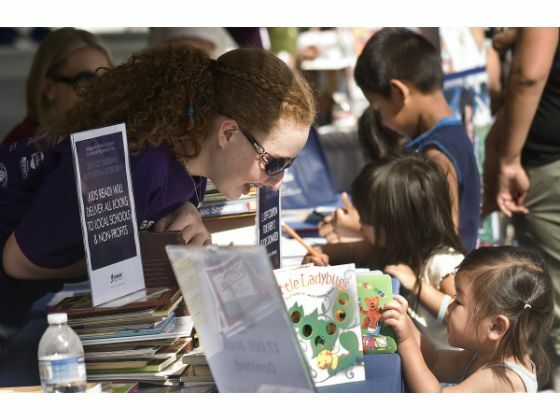 We are excited to help make that dream a reality by hosting the second annual Book Drive at the upcoming Children’s Book Festival in Costa Mesa. Last year we joined forces with Fairmont student and budding philanthropist Megan Mettler to bring a Book Drive element back to the annual Book Festival. Megan's Kids Read! project and her passion for donating books caught the attention of Barry Ackerman, the co-founder of the Book Festival, who invited Megan to partner with Fairmont to start up a Book Drive at the event. The result was an awesome drive, which collected over 700 books that were donated to local schools and non-profit organizations. We are excited to continue the tradition with the second annual Book Drive on Sunday, September 30. We will host the drive at the Fairmont Schools Booth (#110), and we will be accepting donations from 9:30am to 4:30pm. Please bring all your book donations--new and gently used alike. The Mettler family will be there to organize the books and ensure they are donated to the best place depending on grade level. Those who donate two books or more will receive a Book Festival t-shirt (while supplies last). We look forward to seeing lots of our Fairmont families out enjoying the event and supporting this great cause! 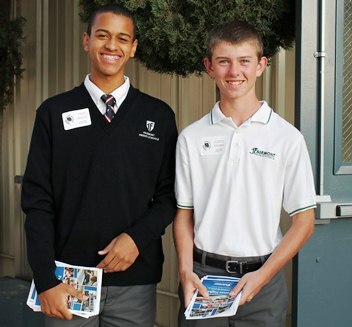 Trey S. and Justin S. were excellent guides at the Historic Anaheim Main Campus Parent Night! We are so fortunate to have phenomenal Parent Associations at each of our campuses who put together some of our favorite annual events. 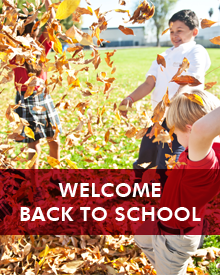 At the top of the list are our back to school picnics/festivals that take place every September. These events give all of our families a great opportunity to meet faculty and staff from their campus, in addition to fellow parents and students. We all have a blast enjoying good food, entertainment, and great company! Be sure to mark your calendar for your campus' Back to School celebration. The Fall Festival is a blast! 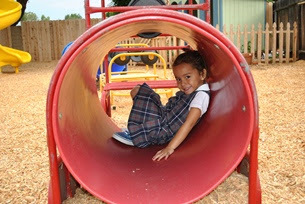 There are rides and food and games, and everyone has such a fun time seeing their friends, teachers and classmates. Discounted pre-sale tickets are available right now...print out the attached link and drop it into the FPA mail box in the front hallway. There will be great food, funnel cake, cake walks, entertainment...just a great evening to spend with your family! Come and join us for 50's style family fun! Fun activities include: obstacle course, bounce house, limbo contest, costume contest, DJ music, and games. The Burnt Truck and the Dogzilla Gourmet Food trucks will be on site from 5:00 P.M.-7:00 P.M. selling gourmet sliders, hot dogs, and much more (cash only). The trucks have many items to choose from including kid meals. Bring a blanket and join us! Don't just mosey over, get a move on and join all the amazing North Tustin (formerly Edgewood) fun. It's a great opportunity to spend time with your kids and have fun with other NT Fairmont friends & families. Have you heard, Fairmont is on Pinterest?! With so many of our Fairmont families and friends engaged in creating digital collections on Pinterest and with so many great ideas to pique our ever curious minds, we found the temptation just too hard to resist. So, we are happily pinning away each week discovering books, craft projects, recipes, home design inspiration, gifts...pins more or less linked to education that we hope will delight the life-long learners in all of us. We invite all of our current 8th grade families and prospective high school families to attend a special Prep Preview event. This evening reception is an excellent opportunity to learn more about Fairmont's outstanding high school program--all in a convenient Fashion Island location. The event will begin with time for families to speak with Fairmont Prep administrators, current parents, and student ambassadors while enjoying hors d'ouevres and refreshments. Then our Headmaster, Academic Deans, and College Counselors will share a brief presentation highlighting the key elements of our program, followed by time for Q&A. 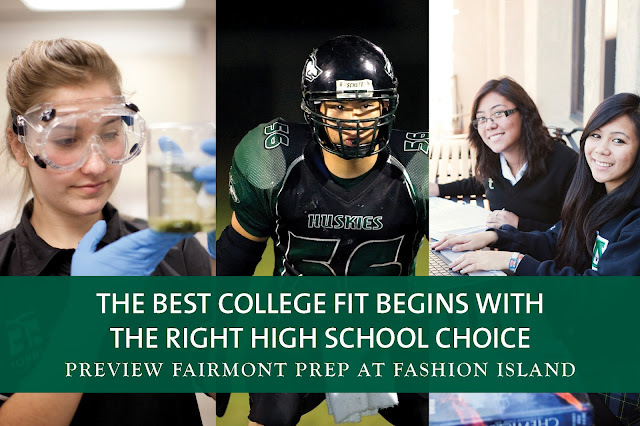 At Fairmont Preparatory Academy, we believe school should provide the options and opportunities that allow students to take smart risks, discover unexpected interests, and develop lasting passions. That's why we offer multiple academic pathways (including more AP classes than any other high school in SoCal), student-directed theater and art programs, and thirteen CIF sports. It's why we invest in technology-enhanced learning, free after school tutoring and enrichment, and low student to counselor ratios. By working with students to individualize their high school experience, Fairmont Prep prepares students for their best college fit and beyond. We hope you can join us to discover our unique high school program for yourself. Click here to learn more and to RSVP. We enjoyed seeing our Historic Anaheim Preschool parents at Parent Night this Wednesday, and we look forward to seeing our North Tustin parents tonight. We will wrap up our Parent Nights next week with the Anaheim Hills Campus on Monday, September 10 and the Historic Anaheim Campus on Wednesday, September 12. Please check you campus eNewsletter for more details and read this blog post for helpful tips on making the most of your evening. 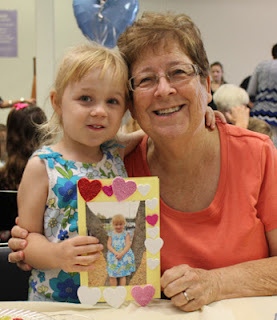 Grandparent's Day is this Sunday, and we encourage all of our Fairmont families to plan something special with their grandparents. 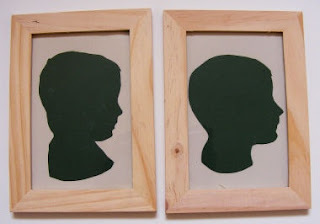 These grandkid silhouettes make a great handmade gift! And because grandparents are part of our Fairmont family too, we are hosting Grandparent's Day events on campus next week. Please check your campus eNewsletter for all the specifics. 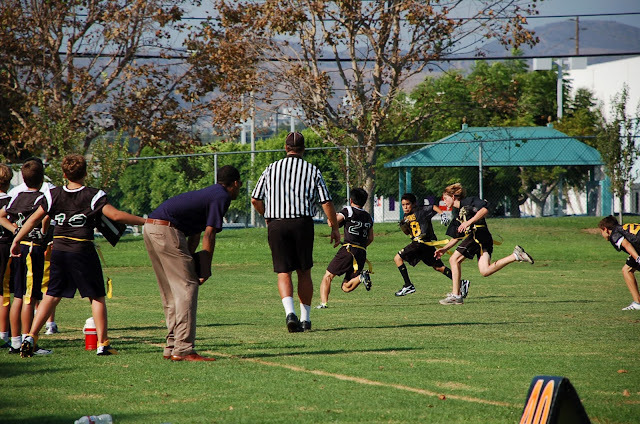 We are kicking off our sports seasons with DSL and Tri-Way Football and Volleyball! Games will start in the upcoming weeks. Be sure to look for try-out announcements on campus and encourage your child(ren) to participate. GO FAIRMONT! Did you know we have something to celebrate this weekend? Grandparents! Sunday, September 9th reach out to your children's grandparents and let them know just how special they are to your family. Oh, and if you have time to craft a personalized gift like these grandkid silhouettes, I'm pretty certain you'll be rewarded with lots of love. 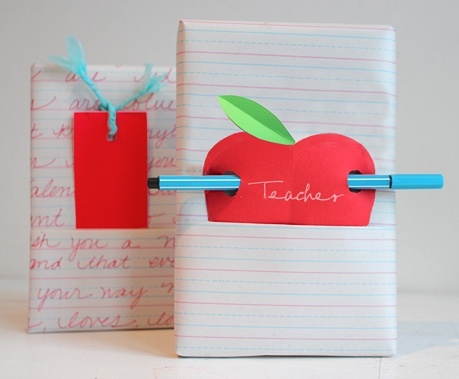 Follow Fairmont's Pinterest "Elementary" Board for this and other cool craft ideas.